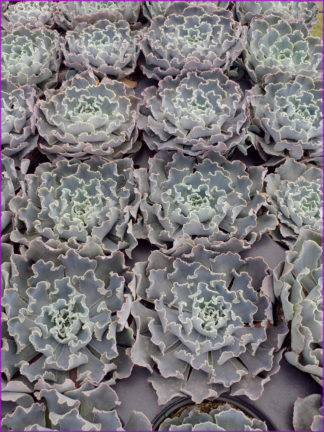 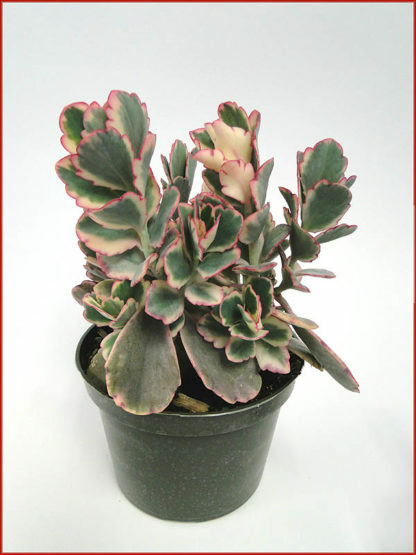 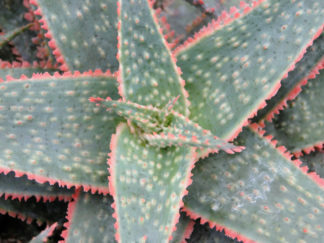 Shrubby succulent with variegated scalloped leaves that blush pink in higher light. 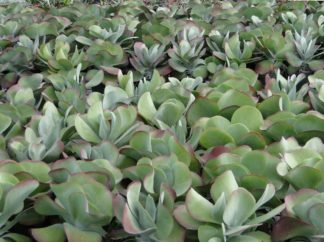 Young plantlets form on edges of leaves of mature plants. 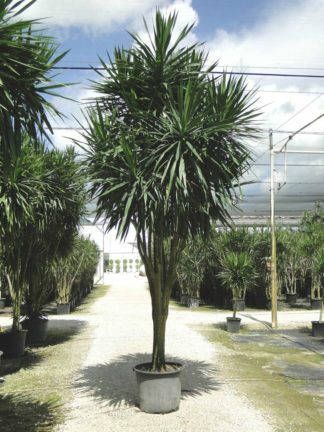 Stems will spill over on their own weight and create aerial roots to spread. 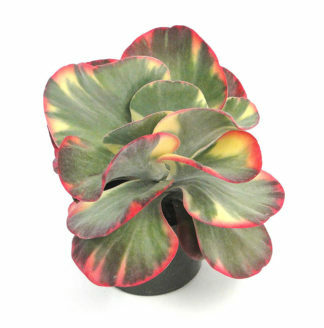 Grows up to 1-2 feet tall.